Welcome to the award winning Comfort Inn Knoxville hotel near the University of Tennessee and Downtown Knoxville. 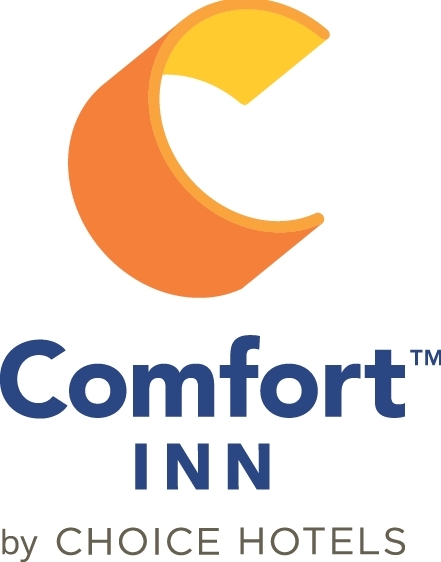 The Comfort Inn Knoxville is conveniently located in Knoxville, TN off of I- 75 exit 112 Emory Rd and is only minutes from downtown Knoxville, University of Tennessee, Neyland Stadium and the Knoxville Convention Center. Pigeon Forge, Gatlinburg, Dollywood and Great Smoky Mountains National Park are located only 40 minutes away and Mcghee Tyson Airport TYS is 20 minutes away. Many restaurants, shopping areas and recreational opportunities are only minutes from the hotel as well. Exceptional value near the heart of downtown Knoxville, TN. The Comfort Inn Knoxville, TN is a newly renovated, multiple Award winning hotel featuring a large heated indoor pool with a hot tub, fitness center, business center, guest laundry, High-speed Fiber Internet access and a friendly staff available 24 hours. This award winning Knoxville, TN hotel has been rated #1 on Trip Advisor for the last 10 years in the area and offers true Tennessee southern hospitality...it's a place where you enter as a guest but leave as friends and family. Start out your day with both hot and cold breakfast buffet options and make your morning at Comfort Inn Knoxville the best way to start off your day. Our complimentary breakfast buffet include favorites such as hot scrambled eggs, sausage, biscuits & gravy, greek yogurt, fresh fruit, pastries, oatmeal, assorted cereals and much more.... oh, and don't forget our hot and fresh "make your own" waffles in two available flavors! All of the spacious modern rooms feature microwaves, refrigerators, HD LCD TV's with High Definition cable channels and HBO, iron/board, hairdryer, coffee maker, plush pillow-top mattresses, new bedding with both firm and soft pillows and complimentary wired & wireless Fiber high speed Internet access. Take advantage of the complimentary use of Tennova Health and Fitness Complex - North Knoxville (65,000 sq.ft. health club with rows of cardio and training equipment, Olympic pools, rock climbing walls and meeting facilities) as well as the free USA Today paper, cold refreshing lemon water and fresh hot coffee/tea in the lobby daily. In addition, if you are traveling with your pet, we are one of a few pet friendly hotels in Knoxville, just give us a call at (865) 938-5500 for details. When staying in Knoxville, make sure to attend an University of Tennessee football game at Neyland Stadium with over 102,455 screaming SEC fans or an University of Tennessee basketball game watching the Lady Vols and Men's teams facing the SEC's top opponents in Thompson Boling Arena. Visit historic Market Square and the Old City in downtown Knoxville to experience some of Knoxville's best dining, nightlife and shopping. You can also rent a boat and sail down the Tennessee River or one of the many lakes; in addition you can take a short drive to Pigeon Forge and the Smoky Mountain National Park to see one of the most visited parks in the US. For a Knoxville Calendar of Events please click here. When looking for hotels in Knoxville, TN, make our Comfort Inn Knoxville hotel your home away from home - where our friendly staff will welcome you with a smile and true southern hospitality.